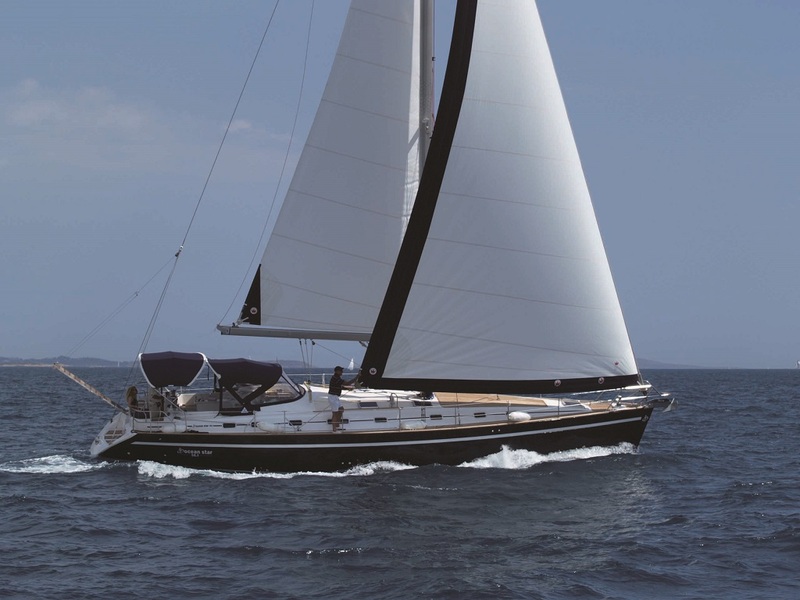 Kallikratis - Sailing Yacht - Ocean Star 56.1 (5Cab) - Enjoy Sailing Holidays in Greece! 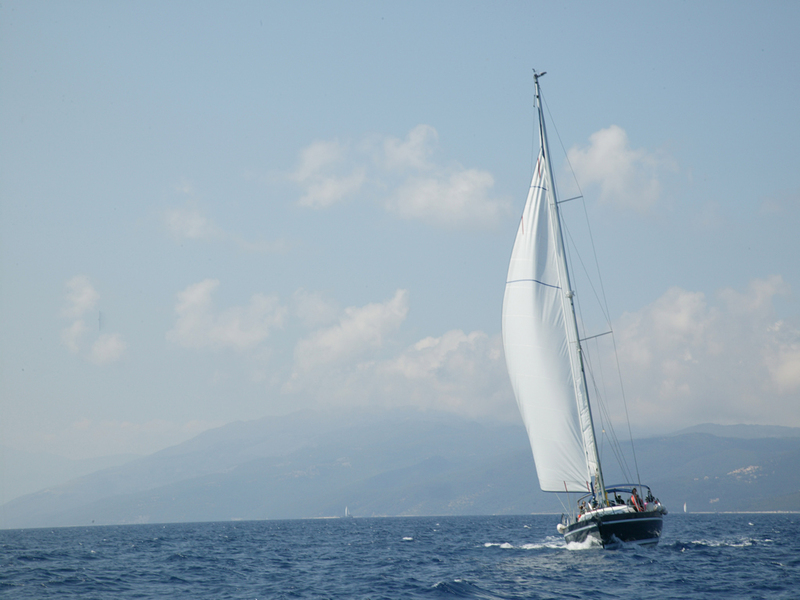 Kallikratis is a 56-ft. luxury sailing yacht that can turn a summer holiday into a wonderful and memorable experience. Commissioned in 2009, Kallikratis creates a comfortable environment allowing you to enjoy the beauty and magic of the Greek islands. From cabins equipped with an independent climate control and private lavatories, to the large salon and the various amenities throughout the yacht, Kallikratis sets the mood for a sailing pleasure. 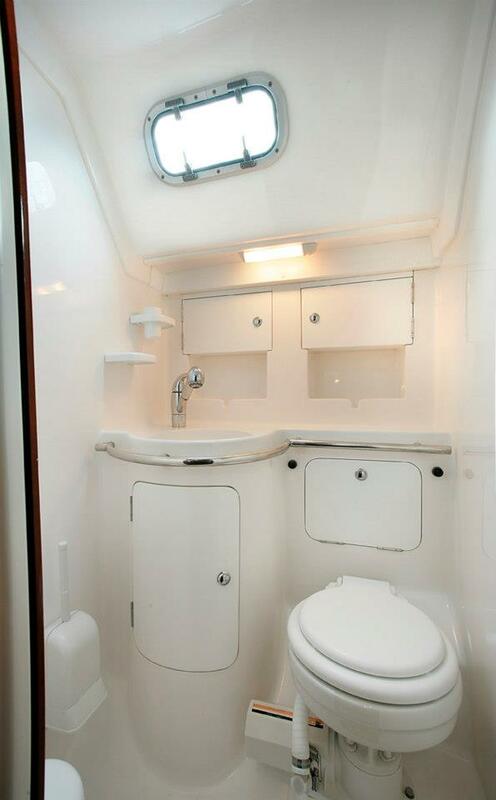 Kallikratis can accommodate ten guests in five staterooms below decks. 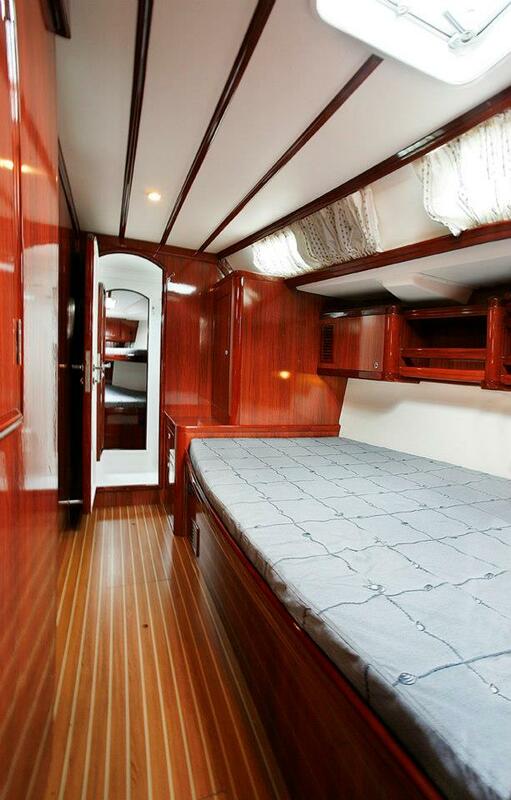 Her Master cabins, have two king beds, as shown in the pictures. 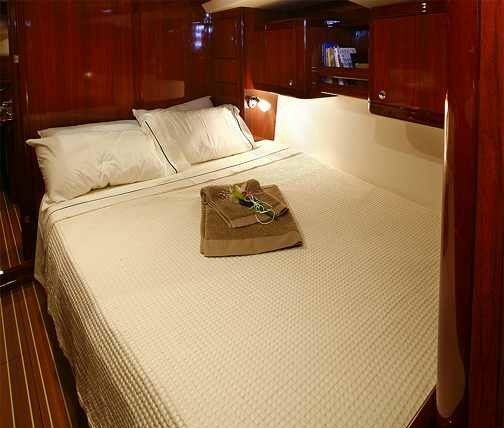 Furthermore, there are two double cabins each with one king and one removable single bed, so they can be used as a single or as a double cabin. Kallikratis is specifically designed for guestsâ€™ maximum comfort. Her impressive salon has two comfortable sitting areas and two formal dining tables for 6 and 4 guests respectively. 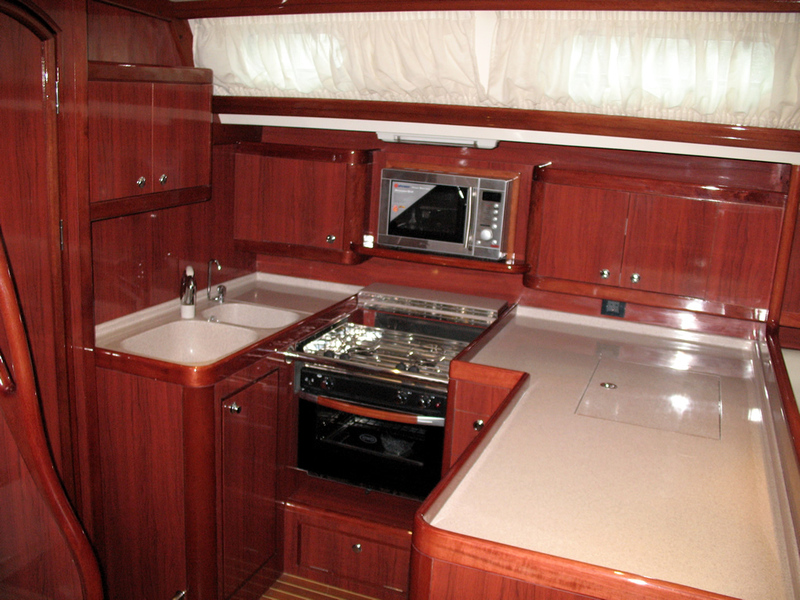 The galley has a stove and an oven, one large refrigerator, twin stainless sinks and plenty of counter space and storage. 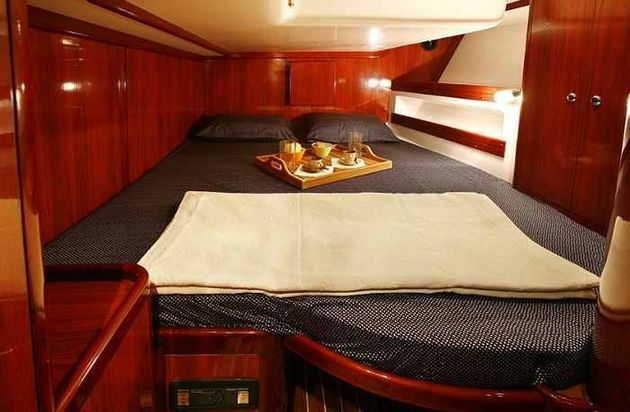 The chart table is aft with plenty of space for the captainâ€™s gear. 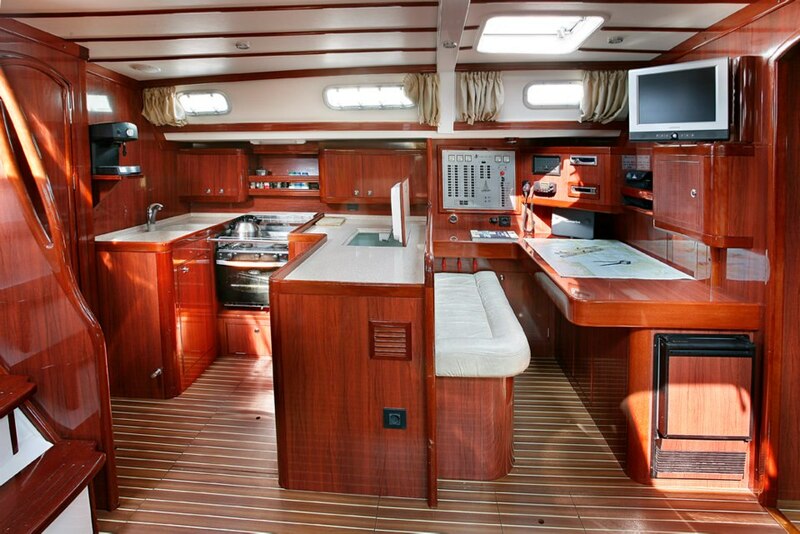 Kallikratis has an impressive exterior with large decks and fine fittings. 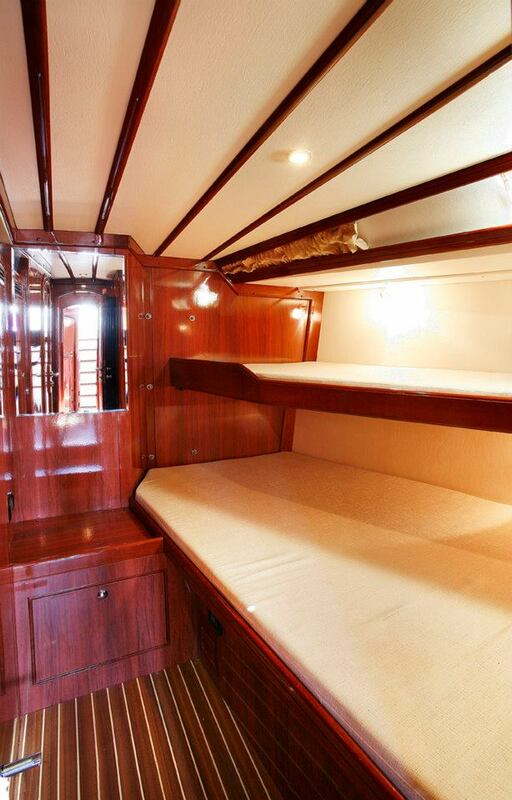 The outdoor areas include an expansive aft deck for al fresco dining and lounging. 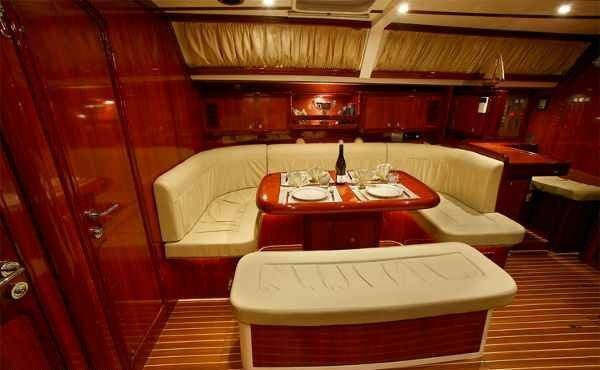 The aft deck dining table comfortably seats ten. 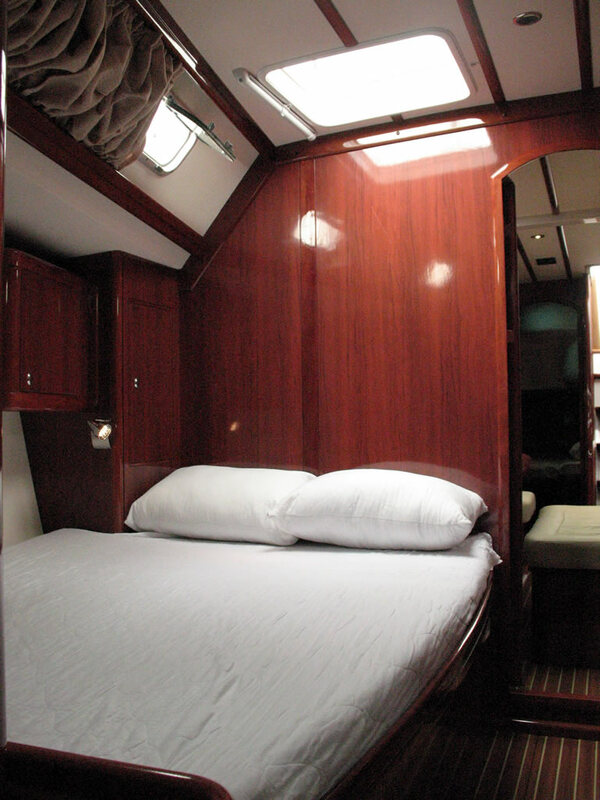 The sundeck can be partially covered with a bimini if guests require shade. 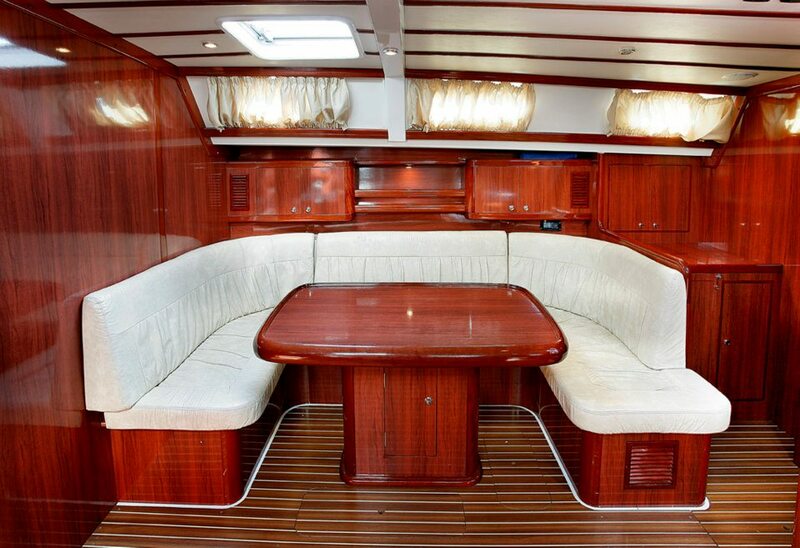 The cockpit is huge and features a large drop-leaf table, perfect for dining with a view. 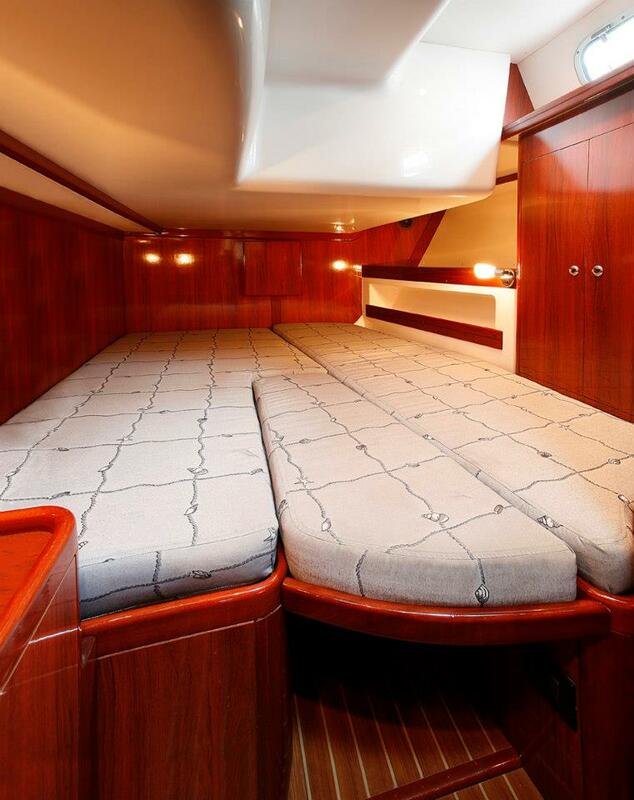 This handcrafted yacht offers unmatched comfort, stability and safety. 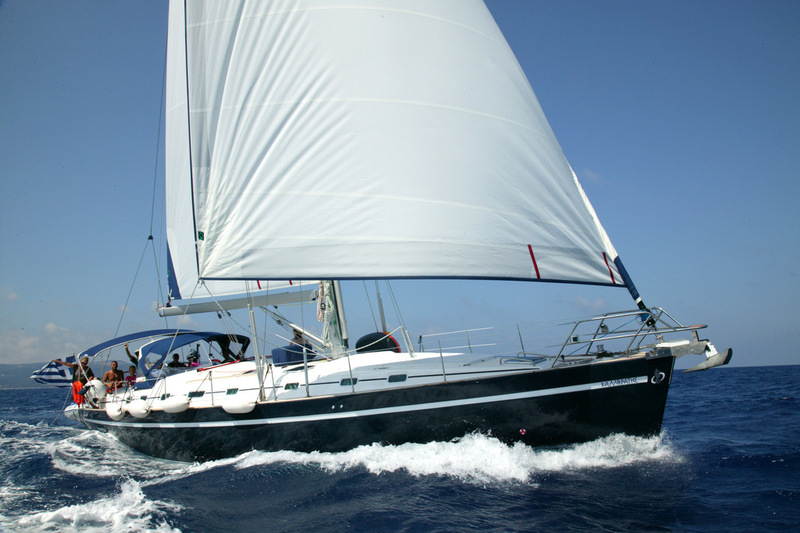 She is equipped with a classic mainsail, genoa and full instrumentation, including generator, autopilot, GPS/chart plotter and wind instrument. A bow thruster provides easy docking and maneuvering in close quarters. 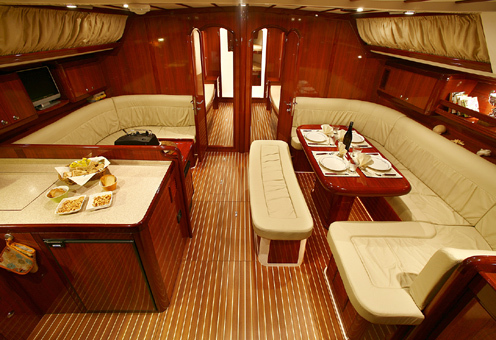 This yacht has state-of-the-art audiovisual systems throughout, and a talented, experienced crew, ready to satisfy all your desires. Skipper is recommended but not mandatory.